The natural properties of the cork stopper afford the wine industry a stopper with incomparable characteristics. 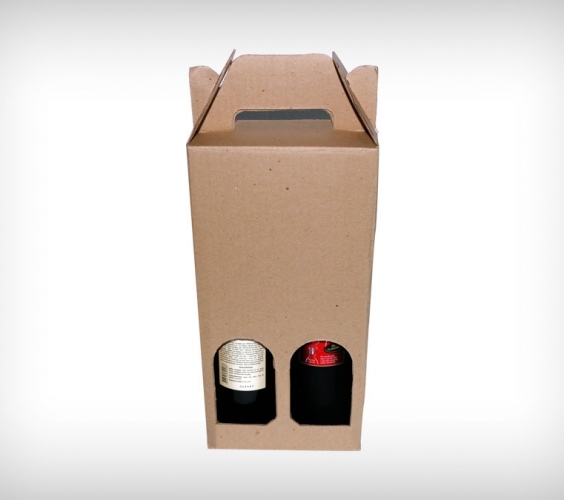 Lightness (a cork contains about 90% of air or similar gas), flexibility, elasticity and compressibility (given by the 750,000,000 cells) allow the cork stopper to regains its initial form, ensuring a perfect adaptation to the neck of the bottle. This adaptation is dynamic over time, as it accompanies the expansions and contractions that the glass undergoes due to variations in the temperature of the environment, ensuring that the bottle remains sealed. 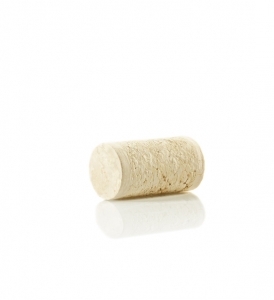 Impermeability to liquids, virtually impervious to gases and the imputrescible nature that ensures high resistance to moisture and thus to oxidation, are important features which make cork stoppers the preferred closure of producers and consumers. The best producers in the world still prefer cork stoppers and connoisseurs of wine do not dispense with the ritual of opening a bottle with a cork stopper. 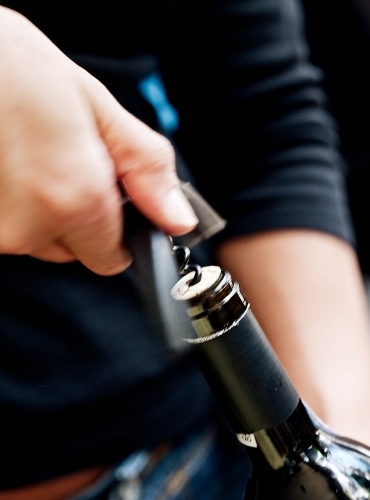 90% of consumers around the world, on average, prefer cork and associate it with a wine of quality and elegance. 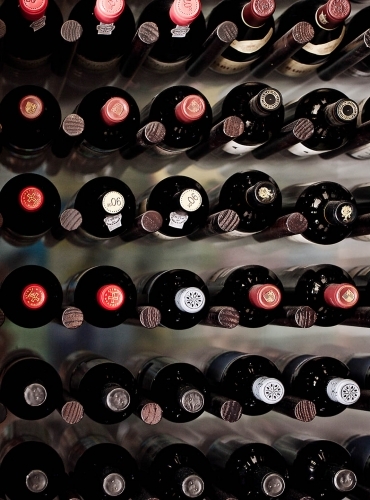 80% of the all Brazilians believe that noble wines require a cork stopper and are willing to pay 4 or 5 euros more for a wine closed by a natural cork stopper******. 7 out of 10 bottles are closed every year with cork stoppers. + US$ 7 in UK on trade *****. 17% increase sales value in the last year in the UK on trade compared with 9% for artificial closures*. 43% case sales increased in USA (2010-2017), compared with 16% for wines with artificial closures***. Cork and wine were made for each other. The best wines in the world, the best wine producers in the world, prefer cork stoppers – Support Cork. Cork preserves the drink in centuries-old bottles of port, the world’s oldest malt whisky, and the world’s most expensive whisky, beer and bottled water. The more expensive and the oldest whisky have cork stoppers. The world’s most expensive whisky, Dalmore Trinitas 64, valued at 100,000 pounds, has a cork stopper. The Top Series premium capped cork stoppers collection of Corticeira Amorim has been selected to close the limited edition of three bottles of this whisky from the Dalmore distillery, one of the world’s most important producers of spirits. 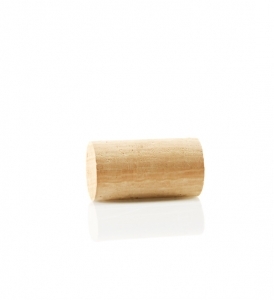 The cork is composed of a body of natural cork and a sophisticated dark wood cap with silver finish. The Dalmore Trinitas 64 is the result of a unique combination of vintages of the 1868, 1878, 1926 and 1939 harvest, finalized by the addition of a 1940 vintage. The world’s oldest malt whisky, Gordon and Macphail’s Mortlach 70 Year-Old, also has a cork stopper. 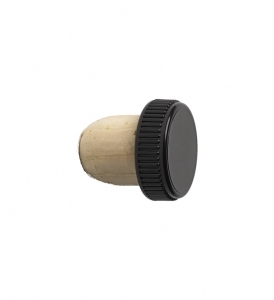 The cork stopper of the Prestige range has a metal cap and silver finish and was made specifically for this drink. It has a natural cork base and can be crafted with innovative and luxury materials, including precious metals, thus adapting to customers’ requests and design trends. Tequila Pátron does not relinquish the cork stopper. Tequila Patrón Silver, the world’s most sold premium tequila, produced in Mexico by Patrón Spirits Company, is closed with Portuguese cork stoppers. This tequila is smooth, soft, easily miscible and 100% produced from excellent quality blue agave. Each bottle is numbered by hand and made of recycled glass. Cork is perfect for Tequila Patrón. In a promotional campaign with the slogan “Simply Perfect”, the cork stopper is given major coverage in one of the adverts by the manufacturer of this tequila. A compliment to the Portuguese product with a clear message. “Only the best ingredients form part of our tequila. As well as our cork stoppers.” “The cork we use at Patrón for our stoppers comes directly from Portugal. It is waterproof, elastic and resistant. After all, we hate whatever might harm our tequila,” it adds. Water closed with cork is one of the most expensive in the world. It’s called Bling H20 and it is one of the most expensive bottled waters in the world – USD 40 per 750 ml. It has a cork stopper, Swarovski crystals and water from a source in Tennessee. This water, designed by the Hollywood producer and screenwriter, Kevin G. Boyd, have been featured at the MTV Video Music Awards and the Emmys. Cork and Port wine: A centuries-old union. Wine and cork have grown together for centuries. 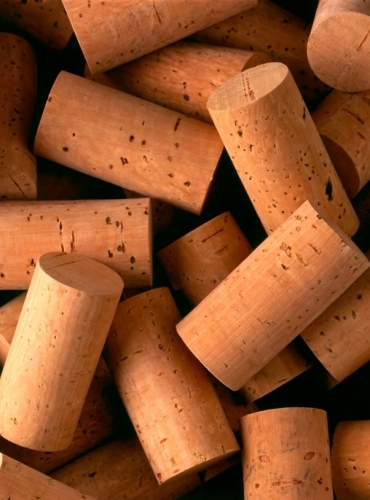 Cork benefits from wine production and gives it a touch of quality. The French monk Dom Pierre Pérignon revolutionized the wine industry in the 17th century by replacing wooden stoppers for corks. The seals then used, corks wrapped in hemp soaked in olive oil, did not inspire a lot of confidence. They were always falling out and there were doubts regarding the preservation of the wine. In the 18th century, and for the first time in Portugal, the ageing of wine in glass bottles was allowed and cylindrical cork stoppers were sought. The famous port, renowned throughout the world, began to be sealed with corks from that time onwards. Cork never again separated from port. The Clínica de Arquitetura startup, of Porto, recently created a black cork base for port. The piece which combines cork and design is called Cepa and is a tribute to a national icon and the Douro region. Exports of Cepa began in the USA. Exclusive beers look for cork. Unicer launched the Belgian Christmas Ale beer with a cork stopper in 2013. “”An assortment of limited editions of a homemade nature, an ex-libris of the Super Bock brewery experience. Exclusive beers created with the passion and unique know-how of master brewers.” That’s how this beer, an exclusive limited edition of 10,000 bottles, announced itself to the world. Sociedade Central de Cervejas e Bebidas (SCC) launched the first Portuguese beer with a cork stopper in a 75 cl bottle, a commemorative edition of Sagres Bohemia Reserve 1835. A bottle closed with cork, of exclusive and exquisite design, thinking of the most demanding consumers. The premium beers in Brazil, especially those intended for ageing, including those with added saffron and the lambic and gueuze beer types, use cork stoppers to ensure that these drinks evolve with quality. 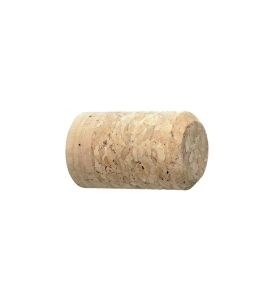 The production of a cork stopper is greener than the production of alternative seals. 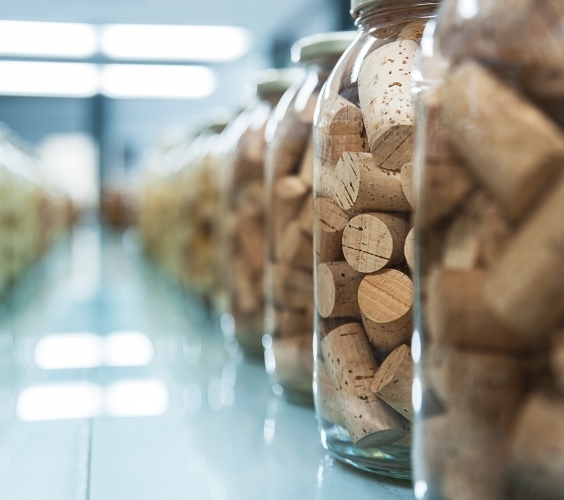 When analysing the lifecycle of corks versus aluminium caps and plastic seals, cork stoppers present environmental advantages in different indicators compared to alternative closures.